Our goal is to identify every Forrester line in America across the various spellings of the surname. This can only be accomplished through comparison of sequences and testing of single nucleotide polymorphisms. For consistency of results, we recommend FTDNA as our control authority (https://www.familytreedna.com). The cost of a 37 marker Y DNA test kit is currently $169.00. We prefer 37 markers minimum as this allows comparison of subclades; 12 markers will only render a haplotype. and the Penn State Forrest project. 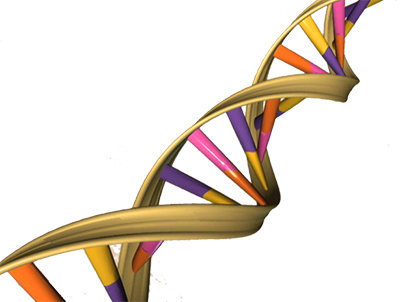 Our goal is to educate our members on the use of genetic research as an effective genealogy tool, and build the databases for an emerging network of genetic genealogists. The result will lead to forensic evidence as a means to bypass &quot;brick walls&quot; in Forrester genealogy research. We adhere to guidelines of the International Society of Genetic Genealogy, (http://www.isogg.org) and encourage support of this group. The tools and information this group offers are extraordinary to persons desirous to learn more about Y or mitochondrial DNA. We express gratitude to each participant of the Foster and Forrest / Forrester projects. We have learned much through comparison of your sequences and exploration of each unique mutation that defines our genetic family groups. We also welcome the untested to join us in the field of genetic genealogy. Together, we can fit the pieces together that are the puzzle of Forrester genealogy. Every serious genealogy researcher has a brick wall. It may be in the 1800s, 1500s or earlier; we all eventually exhaust the empirical paper trail. Forensic, or genetic genealogy, may be the best recourse when the inevitable occurs. Though it can not name the parent of our last confirmed ancestor, it can place us in the correct line through sequence comparison and haplotype. This important tool has already allowed me to correctly tie two dead ends together. My brick wall occurred in the mid 1800s. We have tested one line at SNP P310 positive and U106 / P312 negative. Further testing on this line at SNP DF100 has proven negative. This means we do not as yet have a representative of the "third brother" of U106 and P312. The L11 / P310** designation predates U106. With the contribution of more data, our goal is to identify each Forrest / Forrester line in America. This can only be accomplished by testing and comparison of sequences. We encourage all untested males with any variant spelling of Forrest / Forrester to participate in this program. Your participation may help someone break through their "brick wall": more importantly, it may lead to breaking your own "brick wall" in genealogy research. Below you will find more information regarding Clan Forrester DNA. We encourage you to become a participant in this important part of our heritage!